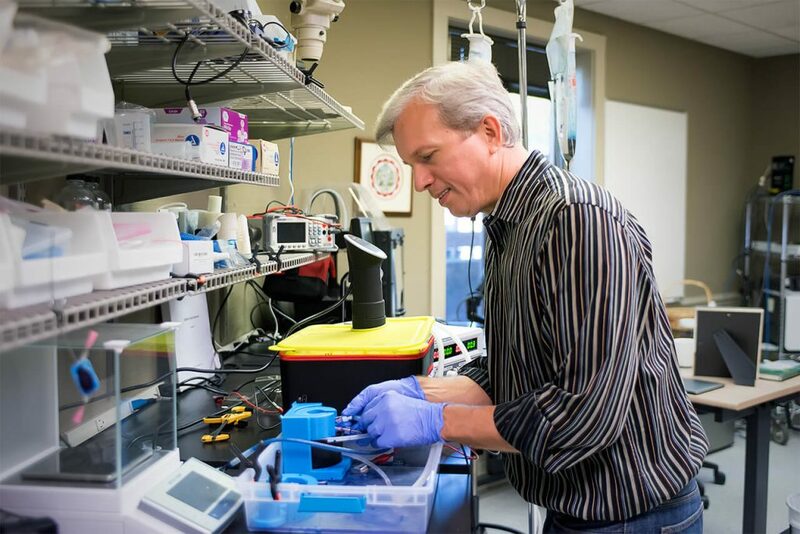 Tony Voiers joined Advanced Chemotherapy Technologies as CEO after meeting with company co-founder Jen Jen Yeh, a professor of surgery at the UNC School of Medicine. 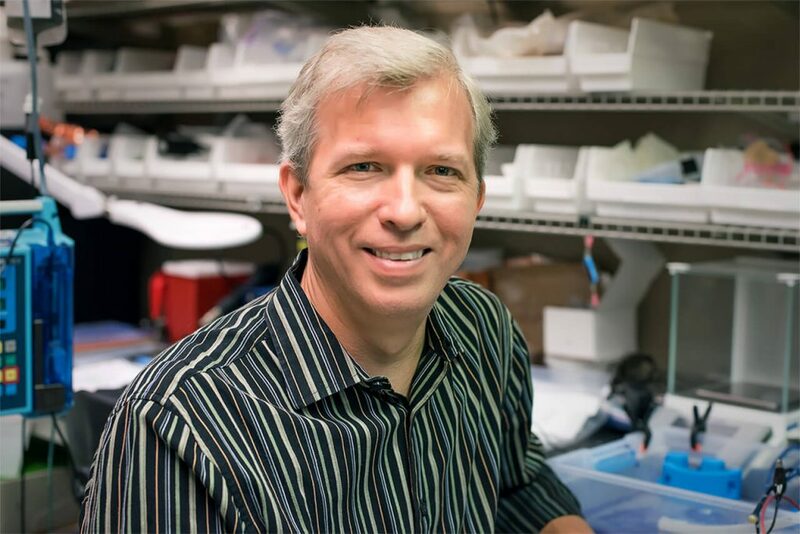 Voiers relies on his experience in engineering and management to run the business, which is focused on groundbreaking chemotherapy solutions. 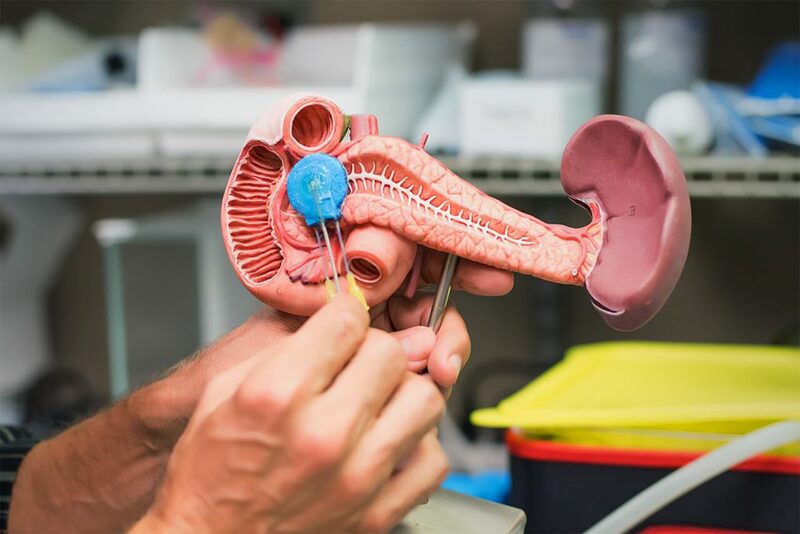 Its current focus is a pancreatic cancer drug delivery device that delivers higher levels of chemotherapy directly to the pancreas than can be accomplished through standard systemic approaches. Tell us a little bit of your background and how you came to be involved with UNC. My background is in engineering, and I was working in the Raleigh area at Closure Medical, which created and developed how to use super glue to replace sutures. Closure was a big success and was acquired by Johnson & Johnson (J&J). I stayed on with J&J, running their R&D group. 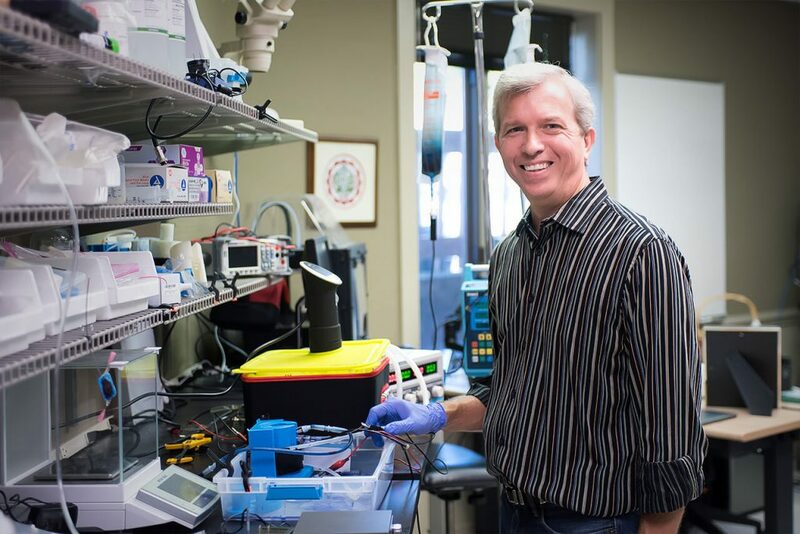 Soon after, I ended up with a startup called Novocor Medical Systems, which provided support to first responders in the field with a device that would induce therapeutic hypothermia. I learned a lot at Novocor, but eventually the company didn’t make it. As that company was winding down, one of the Novocor cofounders introduced me to Dr. Jen Jen Yeh, a Professor of Surgery at UNC School of Medicine and cofounder of a company called Advanced Chemotherapy Technologies (ACT). The company was in need of someone who could run the business, so I started working with then to see if it was a fit. After a successful meeting with the FDA, I joined the company full time. I was aware of the Carolina entrepreneurial ecosystem and knew we’d have good support as we continued to grow ACT. At ACT, we offer a groundbreaking chemotherapy delivery solution for cancers that are difficult to treat with systemic therapy alone. 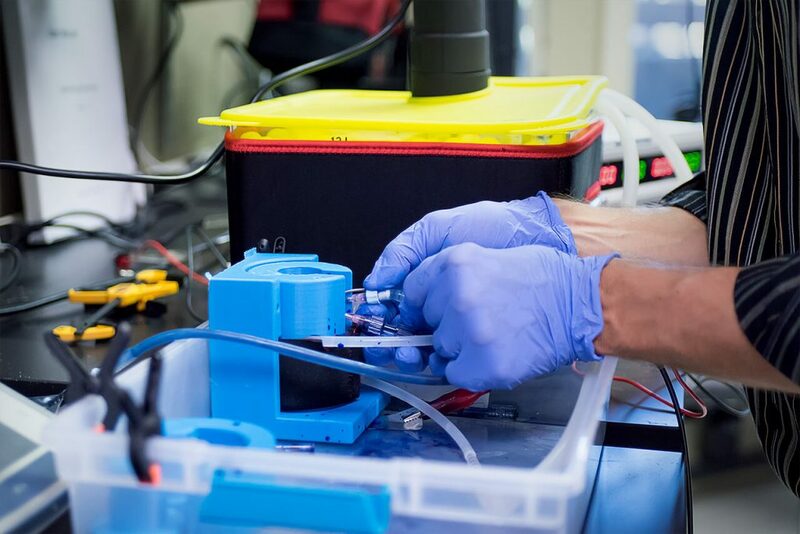 We are currently focusing on the technical design and development of a novel pancreatic cancer drug delivery device that delivers chemotherapy directly to the pancreas. This technology allows for delivery of higher doses, while not presenting a problem with systemic toxicity. Tell us more about UNC spinout Advanced Chemotherapy Technologies and the impact you think it will have on the medical community and in patient’s lives. We have all heard of people who have been diagnosed with pancreatic cancer and before we know it, they are gone. The five-year survival rate at all stages is seven percent so there is a real need to help people with this type of cancer. The best way to have a longer life is to have a tumor surgically removed, but only about 15% of patients will ever have them removed. There are two primary reasons that patients can’t have their tumor removed. In some patients, the cancer has already metastasized and there are too many tumors. In other patients, even though the tumor is not metastatic, cancer is caught too late and the tumor has grown into neighboring blood vessels. Because the cancer has moved into the blood vessels, they can’t be removed. Our goal is to shrink the tumors away from the blood vessels so you can surgically remove the cancer. The research is promising and is showing market regression of these type of tumors in mice. We are hoping this will translate in human testing. What’s most exciting about your work in the entrepreneurial/startup community? For me, it’s most exciting to help patients. It’s why I chose to work in a healthcare related field. As we go through life, we can do something meaningful, and if you have the opportunity – you should. Regarding the startup community, a tremendous amount of innovation happens at small companies rather than at large companies. I like to talk with people to share what I’ve learned along the way, and I always want to continue to learn as well. We have a good ecosystem in our area – especially in the healthcare field. Compared to other regions in the country, we have a lot going on due to the research universities coupled with the support of an active ecosystem which includes UNC, the NCBiotech Center and CED, among others. Any best advice for other startups looking to turn their ideas into reality? I have a lot of early stage companies ask me about their idea. For me, it comes down to the question is the idea fundable? Does it address a real need? Is it a real game changer? Are people going to want it if you build it? With ACT, it’s a no brainer; it can improve life expectancy with patients who have pancreatic cancer. Then ask if the market is big enough, mature enough for your product? Will companies buy it? Figure out if it’s fundable, spend a good deal of time exploring if you are addressing a real need that people will pay money for if you develop your product and put it out there in the market.